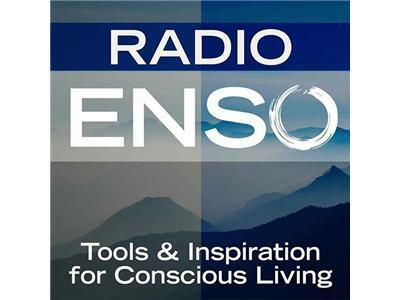 Join me Monday, September 23rd at 6 p.m. Pacific/9 Eastern on Radio Enso. My guest will be author, speaker, and grief counselor Christina Rasmussen of Second Firsts, dedicated to changing the way we live life after loss. About: Christina's personal story and fresh approach to 'life after loss' has garnered international attention. She's been featured as a Woman Working to Do Good in the White House Blog and was named the Leading Mom in Business by StartupNation. She blogs about life after loss on Huffington Post. Christina's first book — Second Firsts: Live, laugh and love Again — will be released by Hay House in the fall of 2013. She'll also open the doors to her new action oriented non profit social network — The Life Starters — in early 2014. As the founder of Second Firsts, Christina spends her time speaking, coaching and helping thousands of people to rebuild, reclaim and re-launch their whole lives — using the most powerful tool for personal reinvention: the human mind. Before creating Second Firsts, Christina worked as a therapist and crisis intervention specialist. But after losing her husband to colon cancer, Christina experienced the agony of sudden loss, firsthand. With two daughters in tow, she began the tender process of transforming her tragedy into a new career, a renewed sense of purpose, and a life of joy and laughter. For more information, visit: http://www.secondfirsts.com.